A truck bed is fantastic for hauling things. But it's horrible to unload. Jumping in, hopping down, crawling back, reaching, pulling,it's a hassle that leads to soar knees and a strained back. 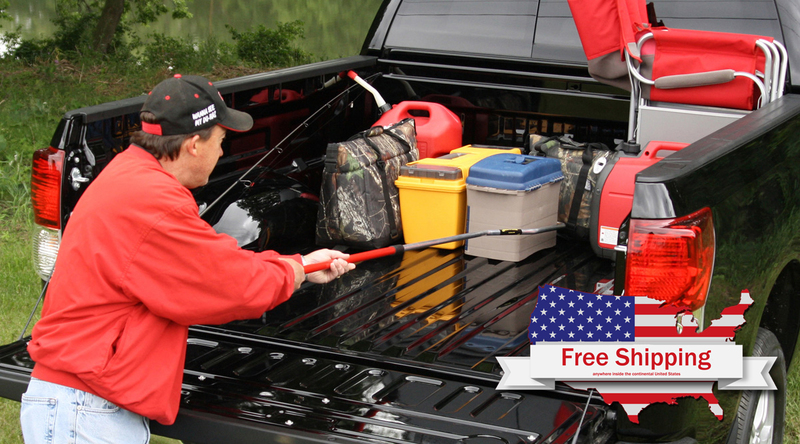 But there's a smarter way, the DU-Hooky allows to you safely and easily pull items towards you for fast unloading. DU-Hooky is the best accessory your truck will ever have. • Pull up to 100lbs.